The Laguna de los Cóndores, also known as the Laguna de las Momias, is a lagoon located in the department of Amazonas in northern Peru; a day’s hike from the village of Leymebamba. 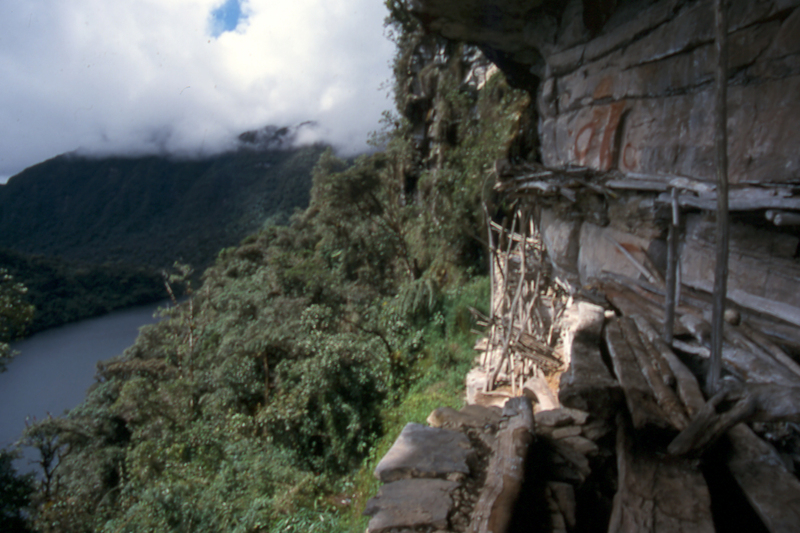 The cliffs surrounding the lagoon were used as a necropolis by the Chachapoya, a culture that lived in cordillera (mountains) between the Marañón and Huallaga rivers in the high Andean cloud forest (Church and von Hagen 2008: 904; von Hagen n.d.). The Chachapoya may have been less an organized socio-political unit and more a regional identity that was called ‘Chachapoya’ by the Inka for administrative convenience (Church and von Hagen 2008: 904). The region was conquered by Tupac Inca Yupanqui around 1470 AD and under the Inka, the Chachapoya were subject to forced resettlement (von Hagen n.d.). What some have termed the ‘Classic’ Chachapoya civilization lasted from around 800 AD until the period between the Inka Conquest and the Spanish Conquest (from 1470 to 1532) (von Hagan n.d.). This period is characterised by tombs of the sort seen at Laguna de los Cóndores. The tombs at Laguna de los Cóndores are located on a cliff 100 metres above the Lagoon. There are six intact chullpas, above-ground stone structures meant for housing the dead, and the remains of a seventh are visible (von Hagen n.d.). The chullpas are set in rows and are decorated: four of them are painted in white, red, and yellow pigment and two display zigzag friezes (von Hagen n.d.). The ledges are dry, which has aided in the preservation of both bodies and organic grave goods. Finds at Laguna de los Cóndores suggest that the chullpas date to the period of Inka control over the Chachapoya-Inka (1470 to 1532). 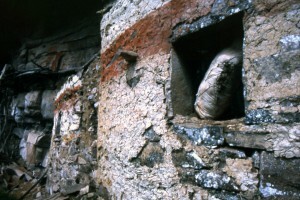 It appears as if two of the chullpas at the site were hastily constructed by the incoming Inka to house Chachapoya mummies relocated from the other chullpas. These other chullpas were then reused by the Inka and their local administrators (von Hagen n.d.). 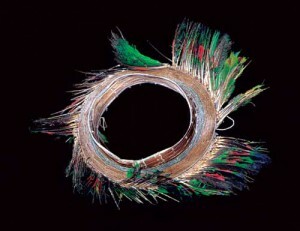 Preserved feather headdress from Laguna de los Condores. Photo from the Museo Leymebamba website. In 1996, men working for a Leymebamba-based cattle rancher named Julio Ullilén discovered the tombs at Laguna de los Cóndores (Guillén 2007: 23). Upon finding the chullpas to be filled with mummies, the men proceeded to hack at the well-preserved, textile-covered bodies with machetes in an effort to find sellable metal artefacts (Guillén 2007: 23). A fight over the spoils of the looting eventually led to the intervention of the local police and most of the looters were arrested (Guillén 2007: 23). At this point Ullilén had taken many of the artefacts stolen by the looters, but the police eventually confiscated these items (Guillén 2007: 23). Ullilén is now the manager of a hostel in Leymebamba that offers tours of the archaeological site (see http://www.loscondoreshostal.com). 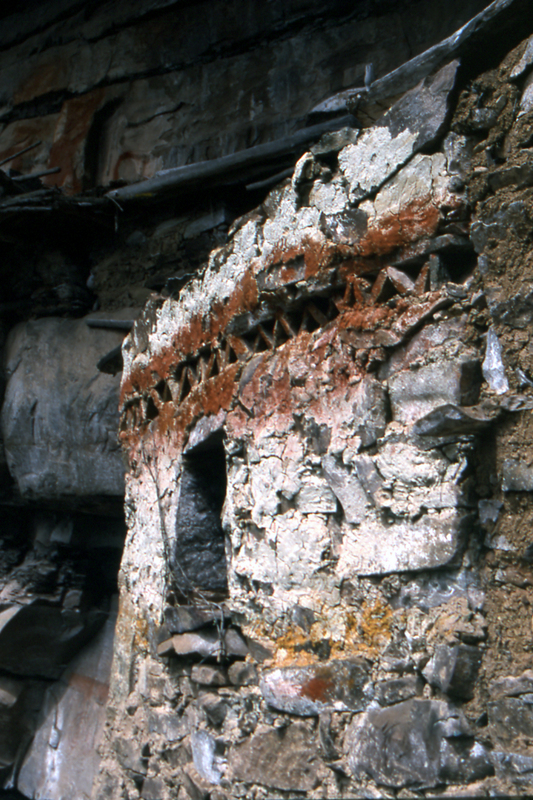 In April 1997, archaeologist Peter Lerche visited the site as an official representative of Peru’s National Institute of Culture to conduct a preliminary survey of the damage. He estimated that there were 60 to 70 mummy bundles (it was later established that there were actually over 200 mummy bundles) and hundreds of associated artefacts, including several khipus, scattered on the cliff ledge (Guillén 2007: 23). Later salvage archaeology at the site revealed that the publicity surrounding the looting incident was having a negative effect on the already-damaged necropolis. Adventure tourists were moving mummies around, posing them for photos, and casually stealing artefacts as souvenirs (Guillén 2007: 25). 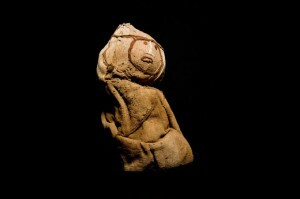 The movement of the mummies by tourists and looters had exposed several bodies to the rain, and archaeologists, in consultation with local and national authorities, decided that the bodies could not remain at the site (Guillén 2007: 26). Thus 219 mummies and over 2,400 artefacts were transported for ten hours along a horse trail to Leymebamba where they were conserved (Guillén 2007: 26). They are now housed at the Museo Leymebamba. Church, Warren B. and Adriana von Hagen (2008), ‘Chachapoyas: Cultural Development at an Andean Cloud Forest Crossroads’, in Helaine Silverman and William H. Isbell (eds. ), The Handbook of South American Archaeology (New York: Springer), 903-926. Guillén, Sonia (2007), ‘Preserving the Heritage of the Chachapoya: The Museo Leymebamba and the Mummies from the Laguna de los Condores’, in Lena Bjerregaard (ed), Chachapoya Textiles (Copenhagen: Museum Tusculanum Press), 23-28.
von Hagen, Adriana (n.d.), ‘An Overview of Chachapoya Archaeology and History’, Website of the Museo Leymebamba, <http://museoleymebamba.org/chachaarki.website.pdf>, accessed on 10 August 2012. Chullpas are found throughout the Andes, especially during this time period. They do not necessarily have to be on a cliff. What makes a chullpa a chullpa is that it is an above ground stone structure meant for holding the dead. A khipu is a series of knotted cords that were the primary record-keeping device of the Inka. They represent the closest thing to a recorded language that existed in the ancient Andes and are considered to be extremely valuable to scholarship. Were only the ethnically Inka buried with kupis in this remote province? Can we link individuals to what we know about the information recorded in the khipus? Because the mummies were looted and their associated artefacts were disarticulated, we will never know the answers to such questions (Guillén 2007: 26).